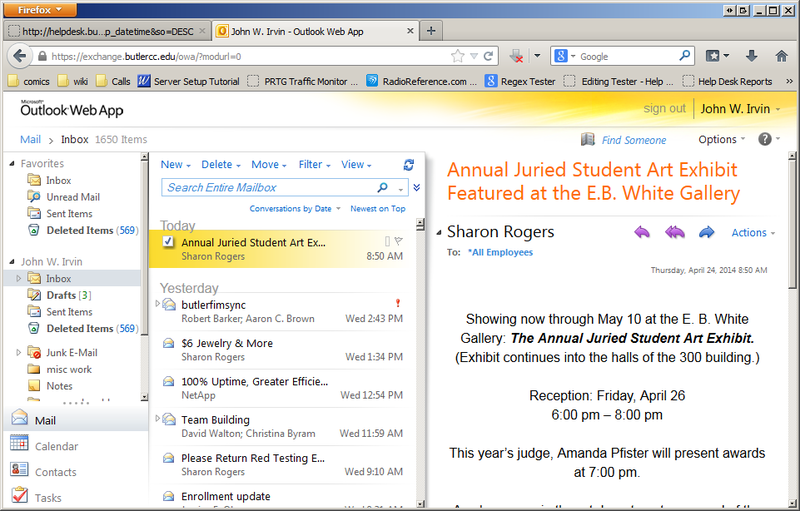 Some emails may be missing due to the automatic filtering built in to outlook or OWA. 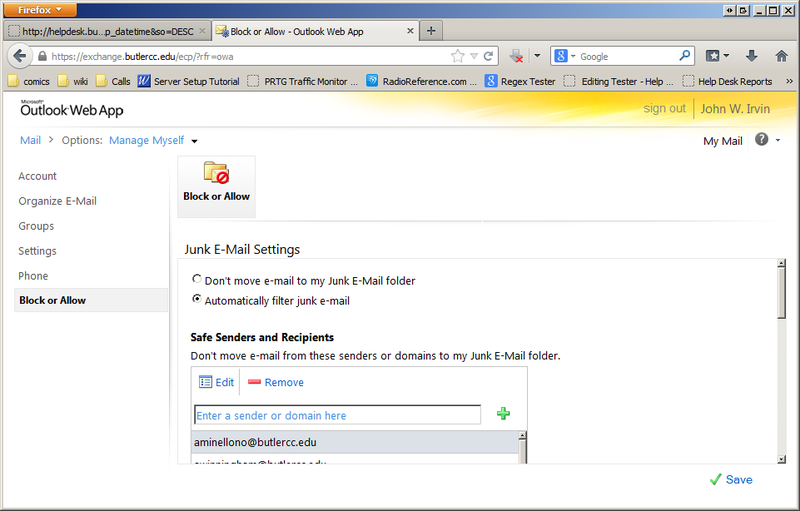 This tutorial will explain how to configure Outlook/OWA to keep all email addresses ending in "@butlercc.edu" out of the junk folder for your mail box. Open Outlook so that your inbox is displayed. 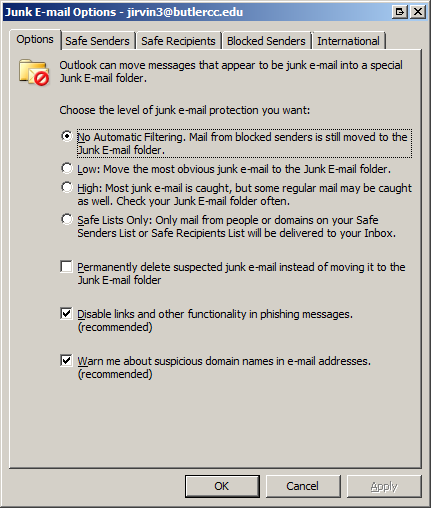 Select the last option in the drop down called "Junk E-mail Options..."
The below dialog should appear. Select the "Safe Senders" tab at the top of the dialog. 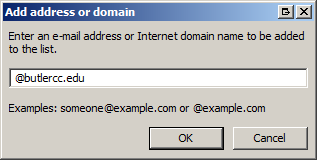 Select Add and the below dialog should appear. Fill the text box with "@butlercc.edu". 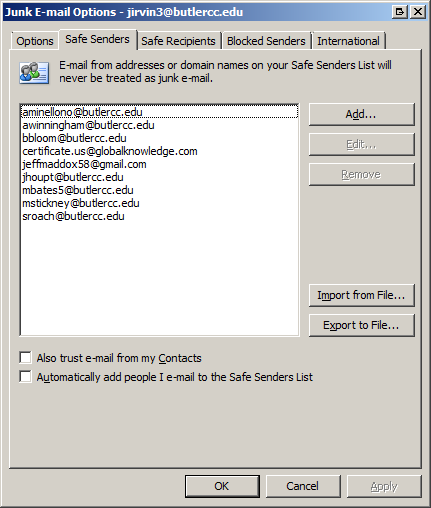 Select OK on the "Safe Senders" dialog and it should close returning you to your inbox. 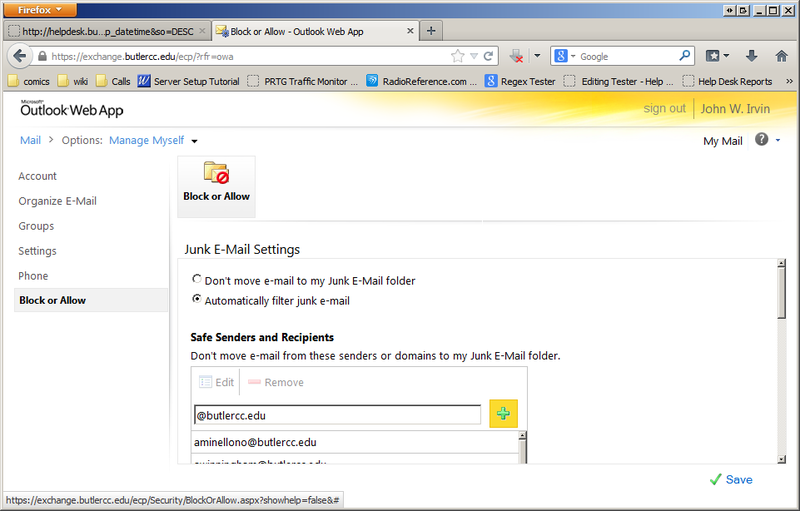 Your Outlook is now configured to filter block butler email addresses. 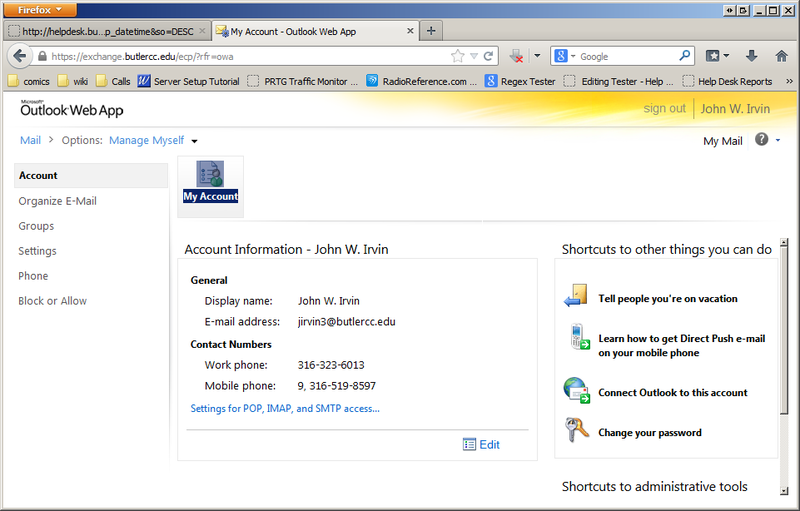 Login to OWA so that your inbox is displayed in your browser. In the upper right select "Options" and then "See all Options..."
On the options page on the left side select the bottom option labeled "Block or Allow". In the text box enter "@butlercc.edu" and press the green cross to add it to the list. Finally select save in the lower right hand corner. 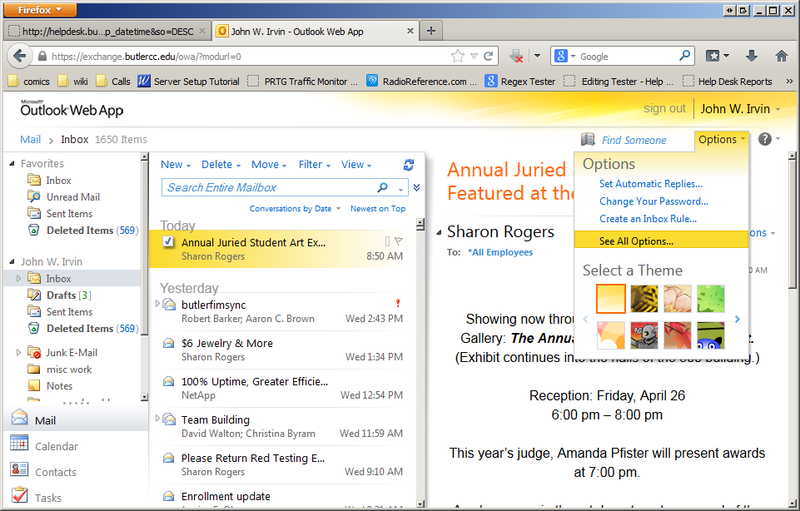 Your Outlook is now configured to not filter butler email addresses. This page was last modified on 24 April 2014, at 12:15.